For any industry public opinion is a hugely powerful force and one that shouldn’t be ignored. If you want to see a guarantee of plummeting profits and boardroom unrest any large social movement should be taken heed of. Most industries nowadays do try and make a positive effort with regards reducing their carbon footprints. Obviously the profit motive is probably number one, but chief executives live on the planet too. One of the industries currently in the firing line is that of the Food and Drink manufacturers. Ever since the Blue Planet programme which aired on BBC iPlayer about the amount of plastics in our oceans, you can watch it abroad too now – this is from France. We have seen some more positive movement from many firms in this sector. There is an industry wide initiative in the UK called Ambition 25 which is leading transformational change with environmental sustainability at it’s core. There are other positive moves including the British Soft Drinks Association which is focusing on sustainability within it’s Waste and Resource Action Programme. The figure are actually enormous so action does need to be taken, it’s estimated 16 million plastic bottles are dumped into the UK environment every day! If you do the maths that’s nearly 6 trillion plastic bottles a year, so it’s truly terrifying to think of what the global figure might be. Other sectors have similar issues, and there’s some huge environmental concerns in other sectors too. Take for example alcoholic drinks, it’s probably no surprise after reading blog posts like this one about Selincro, that we’re drinking more too. Take for example the process of making the malted barley used in whisky and beer, global production just for this small section requires the energy of all the worlds nuclear power plants produce over two days. That’s just for producing malted barley, so you can imagine what the human race’s other energy requirements end up as. The alcohol industry has identified this rather than specifically packaging to be a core environmental concern. This makes sense, there’s less plastic involved in alcohol consumption, although still significant. Nevertheless being able to prioritize makes sense to achieve positive environmental goals. There are plenty of companies looking at using more sustainable energy sources for example. Projects like the one installing a biomass boiler at Chase Distillery’s main production facility. The boiler named Huxley is powered solely by waste woodchip and an energy crop planted on the distilleries farm. In a move that many environmental rights groups have described as historic, the government of New Zealand has blocked a major new offshore oil exploration project. The decision has been widely applauded however not all sides have been supportive with opposition parties suggesting that there could be grave economic repercussions to the decision. The decision was made by the Government last Thursday, in the middle of May, when they announced that all new oil and gas discovery exploration would be stopped off the coast of the country. The strategy is purely focused on reducing the effects of climate change and it will be enforced by ensuring that no new exploration permits are granted. 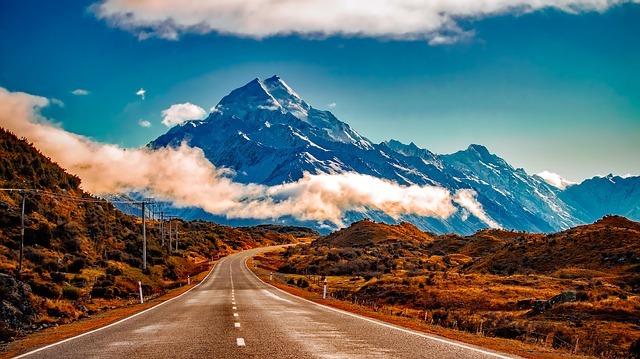 New Zealand has put itself at the forefront of the battle against climate change and the move has been almost universally applauded. The director of Greenpeace also praised the government as it and many other NGOs have petitioned for this stance for many years. The goal of the government is to aim for new zero emissions, the policy is called ‘zero carbon’ and the target date is 2050. There have been some voices of dissent, including that of the National Party, their energy spokesman is Johnathon Young and he said the move was counterproductive. He stated that New Zealand still had to fulfill it’s energy requirements and may be forced to look at high emission alternatives instead. New Zealand has an estimated 10 years left of gas reserves and the suggestion is that they will have to look elsewhere to import energy. The spokesman continued that production would merely be moved to other places on the planet to the disadvantage of the New Zealand economy. The government has emphasised that current permits for both drilling and exploration will not be affected. Their is confidence that no jobs would be threatened in the short term, it is estimated that over 11,000 people work in the New Zealand gas and oil industries. The sector generates about $2.5 billion NZ dollars, mostly in the North Island region. New Zealand has always been in particularly difficult place as regards climate change. Public opinion has always been mostly very positive behind these green efforts, however it also has a long standing tradition of coal mining going back over a century. Although people will sit and watch programmes like the Blue Planet from the BBC iPlayer in New Zealand – accessible by this method, there are many remote areas completely dependent on coal for their incomes. Indeed there are some places like the town of Blackball where there are several generations of miners who are completely reliant on the coal mining industry. They are of course suffering as the global demand for coal falls, due to rising production costs and of course the social and environmental ones. Our planet faces many problems which have arguably many different causes. However ultimately they all revolve the same issue, the human race and it’s overuse of the earth’s resources. If you think about almost any environmental problem they all pretty much come down to this in some way or other. We simply use too many resources to support our lifestyles and with population growth generally increasing across the world and habitable land reducing because of climate change this is not going to get better on it’s own. It need tackling of course on a global level but we can do our part too, the worldwide changes start on a local level and gather momentum. 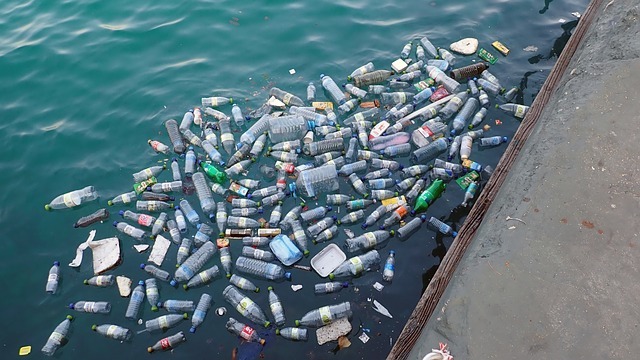 A prime example is our use of plastic, a decade ago no-one was concerned but now we are beginning to take notice of the waste and damage it causes to our planet. When individuals start to take notice soon the corporations will follow public opinion, it’s in their interests after all. If we make it a priority you will see global corporations and events making it theirs too. If you like sport, just imagine the initiatives that can happen there as well. When I sit down and watch the Premiership football on Match of the Day online on my computer (accessed like this) , I’m not alone there are millions of people across the world doing exactly the same – it’s a great place to engage an audience. Anyone can help encourage investment in new wind, solar, wave and tidal electricity by opting to invest in greener electricity through your electricity company. The best policy, as used in Germany and many other countries, is certainly one that guarantees higher payments on the electricity market place for individuals and companies who generate renewable energy. Simply by ensuring a good price was actually paid for green electrical energy, the authorities helped to make wind turbines and solar panels an attractive investment, massively enhancing storage capacity in an only a few years. Within the UK, the government took on a different plan called the Renewables Obligation. This meant that electricity providers needed to buy a certain proportion of their electricity from renewable generators, As a result of this, the companies could create ‘green’ tariffs simply by reallocating the renewable resource they had to purchase anyway to these particular customers, developing no extra capacity whatsoever. Good greener tariffs Don’t despair: you can nevertheless make a difference by choosing a green tariff if you make certain your electricity company actually transforms some of your money into new wind turbines, wave farms and solar panels. Ethical Consumer journal gives each a straightforward rating to help you make up your mind. In 2007, the National Consumer Council likewise produced a report called ‘Reality or Rhetoric’, which ranked the various tariffs available to customers (www.ncc.org.uk). Both large and small scale eco-friendly energy projects will be needed to deliver our electricity needs in the years to come. By generating renewable energy in your home, you can easily reduce your monthly bills, help sustain a new industry and reduce your carbon dioxide emissions. Different modern technologies are actually suitable for different houses, and the best option for you will definitely depend upon where you reside, in addition to the design of your house, so do get professional guidance before purchasing any kit. Renewable energy systems that have been used successfully in homes include solar panels, rooftop wind turbines, wood pellet boilers and ground’ and air source heat pumps. Grants to help install renewable energy at home are also available from the government, although they are usually in short supply. In the UK, the Energy Saving Trust and the Low Carbon Buildings Programme can help ﬁnd expert advice and any available grants. Additional: information on accessing Match of the Day and Sports online using a VPN. Sea bears, or Polar bears, would be the world’s largest land predators, measuring up to 3 m tall and weighing up to 600 kg. They are still be approximately 25 years old, attaining sexual maturity. Though they look white or yellowish in color, their fur is hollow and clear, and their skin is black. The reflection and scattering of light causes their coloring. 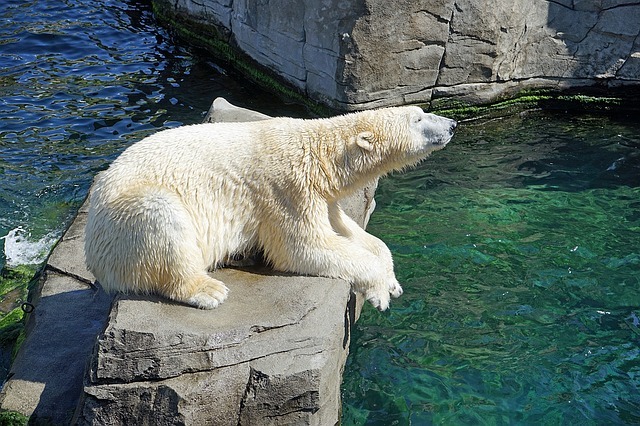 Inhabiting sea and the ice of the Arctic, polar bears would be well designed for survival in an acute environment. While webbing between their toes allows for successful strokes hairs and bumps on the bottoms of the legs offer grip. When hunting for seals they use their sense of odor. They could detect the odour of an aglu, or a seal’s breathing hole, up to one mile away. A bear attack the seal’s mind when it comes to air and will wait by the hole, once located. In hunting conditions, the bear will eat the seal fat, leaving animals the carcass. Polar bears will eat nearly anything, when food is scarce. When in proximity to human settlements, they’ve even been known to eat trash like Styrofoam. Polar bears do not hibernate like bears, but a state is entered into by females while pregnant. After mating in the spring, a female polar bear spends the summer ingesting considerable amounts of food and building a maternity den in a snow drift to prepare for the arrival of her cubs. Some of the most revealing documentary footage of Polar Bears has come from the BBC in it’s current show – Blue Planet 2. David Attenborough has presented many shows over the years concerning these beautiful creatures and you can get some of them online. You just need to hide your IP address to access from outside the country however be careful as the BBC has been blocking VPN programmes recently. At the fall, she enters into a dormant state, remaining this way even when it gives birth. The litter, usually two cubs, will probably spend 2 years with their mother learning essential searching and survival skills. Polar bears would be currently listed as vulnerable from IUCN’s Red List. Global warming greatly impacts the destiny of the polar bear. A reduction of large masses of ice results in limited access to seals. Not only does this adversely affects the health of adult polar bears, it also hampers the successful reproduction and nutrition of new bear cubs. Rising temperatures also result in unstable maternity dens, as snowdrifts melt and collapse. Contemporary climate change threatens us all and yet the gradual warming is often dismissed by deniers as simply the normal fluctuation that occurs over a century. However there is an issue, once something as large as a planet begins to warm up, it’s impossible to stop it and difficult to slow down the process. This is referred to as a greenhouse process, which means it was caused by humans. Though this is disputed by a minority of people, the most of the world’s climate scientists think that global warming is Very due to greenhouse gas emissions. Climate change does not necessarily mean things will get hotter. The climate change individuals discuss today seems to differ. 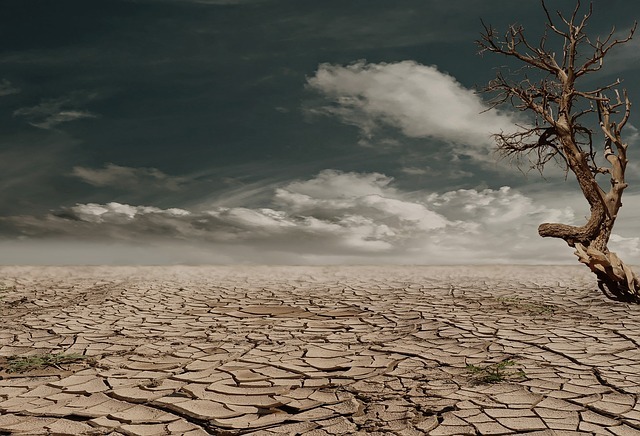 Contemporary climate change will create the climate hotter in some places whereas climate Changes makes Earth as a whole either cooler or hotter, drier in some places, cooler in others, wetter everywhere. A climate modification fact sheet has been compiled by Rahmstorf. The BBC has produced a convenient, one page outline called Climate Change Explained in Six Pictures, that contains charts showing climate trends. You can get access from other countries by changing your IP address online. How can scientists make claims that a period was changing over since records of the weather date back just a hundred years or so? In turns out that Earth retains a record of its climate in ways that are unexpected. In latest years fewer and fewer scientists have disagreed from exactly the widely held position that global warming and climate modification are actually happening. One reason some individuals are skeptical about global warming is they doubt computer models are sufficiently good to model the climate decades to the future. There is more on how scientists create computer models of exactly the climate in a great BBC news article Models key to climate forecasts by Dr Vicky Pope who works in the UK’s Hadley Centre. The BBC is a great resource for up to date climate change information and a host of documentaries. All of them are available on BBC iPlayer for up to 30 days and you can even access them outside the UK if you use a VPN like this one. The precise effect of climate change is complicated: it’s also leading to greater snow, that is building up glaciers in some areas at the same time as they’re being eroded elsewhere. As global warming gathers pace, many portions of Earth will see their climate modification considerably. In case the climate change occurred gradually, things would have enough time to adapt: plants which like the cool could progressively change northwards and grow at higher latitudes. The temperature changes overall may be fairly predictable but the effect on our weather is more difficult to assess. Nature will adapt however it could cause huge problems all over the world to human habitations. Rising sea levels and temperatures will likely make much of our planet uninhabitable, which will obviously cause massive social, economic and political problems. The current refugee issue is definitely going to look somewhat trivial if this happens. There’s a fascinating new story doing the rounds at the moment about the huge scientific research centre – Heimholtz Research, which has withdrawn from a project due to political pressure. In many ways this sounds quite controversial in itself, a research body being pressurized into not researching something! However many might believe this is understandable due to the topic concerned. The research in question was focussed on developing technologies to help reduce the environmental damage caused by exploiting the vast oil sand reserves in Canada. If you’ve not heard of these it refers to the loose sand or shale that are saturated with a dense and very thick form of petrol (also known as tar or bitumen). These are found in huge quantities in Canada and contain a substantial amount of oil. These deposits have been known about for many years, however the extraction was always too expensive to be viable commercially. 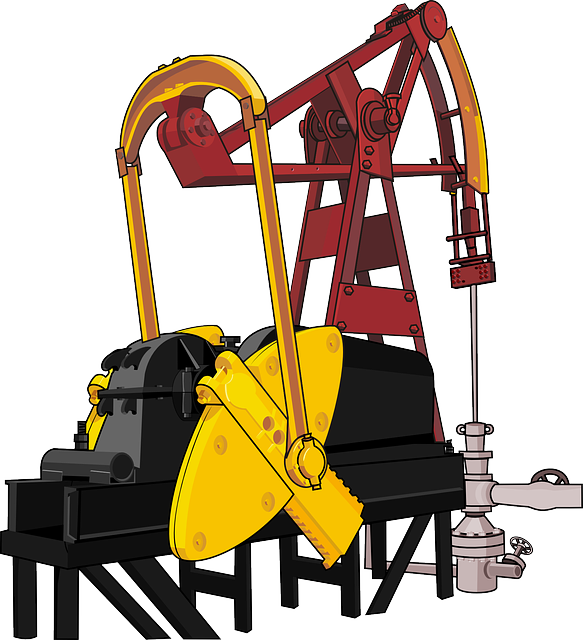 Now rising oil costs and the introduction of new technologies have made the extraction commercially viable but not ethical in many peoples opinion. Protesters claim that tar sands cause numerous environmental problems including vast amounts of deforestation to clear the areas and access to the deposits. They also point out that the mining of tar sands releases over three times as much CO2 as normal oil production. Many estimates point towards mining of these tar sand deposits becoming the biggest single contributor in North America to climate change. Scary stuff, it is this sort of press that has led Helmholtz to withdraw from the research project. The argument is of course does the withdrawing of technical expertise help in any way, should researchers be drawn into political and environmental battles. 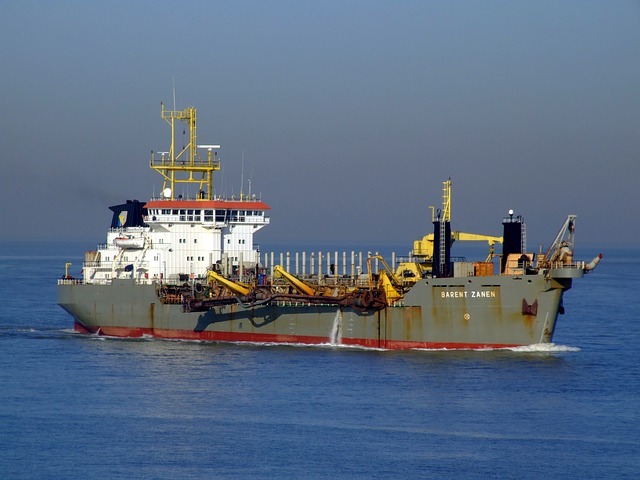 Their role after all was to help minimize the environmental impact of a the project. 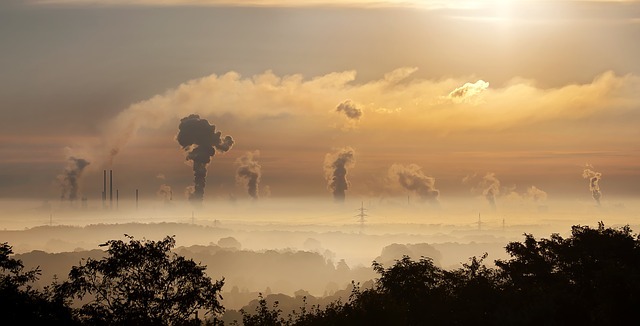 It may be the problems for Helmholtz may be due to the upcoming EU designations of companies involved in producing high pollution oil reserves. At the very best scenario it was seen as a huge risk to the companies reputation. On numerous TV documentaries the involvement was highlighted – check out the online versions of ARD and ZDF. If you’re outside the country you’ll need a French proxy to access these shows (and of course speaking French would help), try here for help. It’s a very stark example of how research companies need to be careful about what projects they get involved with especially highly commercial and controversial ones. 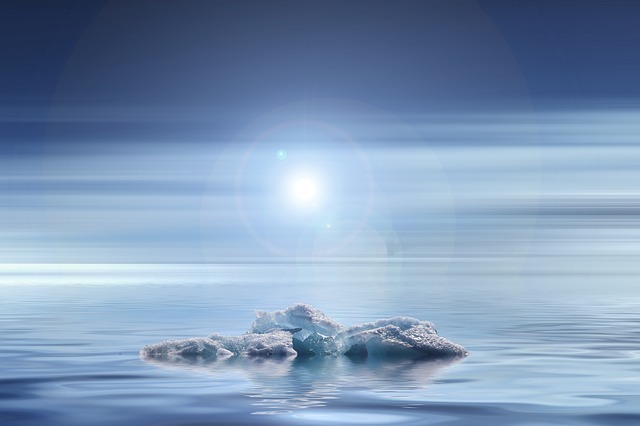 There are many organisations and corporations who over a long period of time have been looking at ways that they could exploit the resources which are contained within the arctic Ocean. There is little doubt that those resources exist, however what is more important is the potential risks to attempting to exploit those resources. Excepting some opinionated American individuals (unfortunately in power) there is pretty much a consensus of the risks of climate change. We are running out of time to drastically reduce our carbon footprint as a species, so to even consider mining for more of these fossil fuels in one of the environmentally sensitive places on Earth seems like utter madness. However this is what the Norwegian government are doing, opening up a new oil frontier in the Arctic ocean together with several oil companies. They have granted licenses for 12 oil companies to start exploration in the Barents Sea, Statoil is to drill to the far North in Korpfjell. The Arctic is already melting due to our planet burning fossil fuels and to even consider allowing new oil wells to be set up there is a triumph of greed over common sense. The Norwegian Government has a duty to provide a healthy and safe environment which is documented in it’s own constitution. This in addition to the Paris Agreement should have been enough to prevent these rigs being allowed anywhere near the Arctic ocean. To access the BBC and it’s documentary section from outside the UK is difficult, but the following resources will help – Can I Get BBC iPlayer in Spain, John Williams, 2016. Much has been written about the increasing rate of the ice loss in the Arctic. However for many of us it’s difficult to actually visualize the extent of this loss is. This video released by NASA’s Goddard Space Center reveals simply how quickly this loss is occurring -it only a couple of minutes and it’s genuinely worth watching. Remember all the records for the minimum level of sea ice have occurred in the last decade, only 2006 has been a slight exception in a definite severe downward trend. However in some ways it’s not just the rate of the ice melting that is the most worrying but rather the type of ice. The new data revealed is that older ice is now starting to thin substantially which makes it much more liable to melt in the warmer temperatures. Some of this ice has taken many generations to form and it appears now that much of it is getting thinner and unlikely to survive many more melting summers. During the 1980’s the older ice made up something like %25 of the overall ice cover. The figure now is probably around 3%, in reality there isn’t much left and we can see that an ice-free Arctic over the Summer is now more than likely it’s almost inevitable. Anonymity is important when you’re online particularly if you have views or opinions that are deemed inappropriate by the government you live under. These links below will help you maintain some sort of privacy and a low profile in environments where it’s dangerous to speak the truth where the environment is concerned. Anonymous Torrenting – much of the best environmental information, from speech transcripts to documentaries is sometimes difficult to obtain online depending on your location. Although torrents are often simply used for pirating the latest movies and music the technology also offers a method of downloading large files from anywhere. Beware though the default mode for most torrent clients is completely transparent so you can easily be tracked down by your IP address, use a VPN such as the one in this post to hide your identity. Remember many VPN services don’t allow the use of torrents so make sure you get one that works. BBC World News Streaming – there are of course very few sources of news which are completely unbiased. In fact, many consider the BBC to have some political agendas which affect their reporting. However in contrast with many other news agencies which are often owned directly by the state or independent companies – a publicly funded, well respected organisation like the BBC has to be worth considering. They are very active in reporting environmental information, you will need to use a VPN outside the UK for actual TV broadcasts including the World News. Netflix VPN Ban – although being able to access Netflix is hardly an important environmental awareness tool, although there are some great documentaries online. The latest move by the media giant demonstrates how important it is to control the internet. Netflix has recently implemented a very effective block on people accessing their site using virtual private networks or proxy servers. This is supposed to be to protect copyright holders rights, but it does seem a way for Netflix to be able to split their markets and operate traditional profit maximisation techniques. The VPN in the link still works though. IP Cloaker – one of the most important factors to consider when trying to keep a low profiles online is that of your IP address. If it is used from your home, college or workplace there is a high probability that any web activity can be tracked down to you specifically. It is safer to use anonymous wifi or public access points although these carry there own security risks. Most experts consider using an IP cloaker device is essential for any true anonymity online. The Ninja Proxy – is a general security and news site which focuses on anonymity and security issues. It has been around for many years and is a good place to start to find out about any online privacy issues you may have. The author is from a technical background so there’s lots of specific technology related stories. Worth grabbing the Ninja proxy RSS feed if you want to keep up to date. There’s a definite tendency for climate change to get shuffled back to the back of the political agenda whenever possible. This is probably because it’s difficult and expensive to correct the damage we continue to do to our planet. For democratically elected governments it’s simpler to push decisions into the future in order to allow some other leaders to deal with the problems. The problem is that global warming doesn’t stop for these political events, the planet get’s hotter and any solutions become more and more difficult to achieve. It was estimated in the UK that the majority of Government time over the next five to ten years will be focused on the withdrawal from Europe. Unfortunately although it seems a big deal – Brexit is really a minor political issue compared with the global challenges facing the planet. One of the challenges is to ensure people really appreciate that there are a myriad of effects of global warming happening right now all across the planet. For example in Siberia, the permafrost has started meting for the first time in decades in certain areas. This has resulted in a serious outbreak of anthrax which was previously frozen in a reindeer carcass from years ago. In Iraq, the government has been suspended frequently simply because it is too hot – is there a temperature where democracy starts to melt away? Kuwait has seen the thermometers hit 129F (54C) over the Summer, which is simply too hot for humans to survive for any length of time without air conditioning. These are just a very small subset of the sort of problems that will only increase. They’re obviously not just the big cataclysmic events you might catch in a disaster movie, although than to Netflix blocking proxies I don’t see that many of those any more. It’s more about a myriad of local problems which can cause lots of damage and will slowly lead to mass migrations as much of planet becomes slowly uninhabitable. The economic and human costs will be enormous, the political ramifications will eventually dwarf any other issue – which is why it’s incredible that global warming get’s sidelined so often. It is a global change, it’s supported by pretty much all the available climatic evidence. It’s worth remembering that when someone points out that they haven’t been to the beach or had the barbecue out in order to disprove global warming. This year has seen the hottest July since records began, that’s highest average temperature across the globe. The records are from the end of the 19th century but there’s reason to believe that this record predates that for some time.